Using patient-level data from the ODYSSEY OUTCOMES clinical trial, a team of investigators presented on the cost-effectiveness of PCSK9 inhibitor alirocumab at the American Heart Association (AHA) Scientific Sessions 2018, in Chicago, IL, last week. Among their findings, the team found alirocumab was cost-effective at a price of up to $6319 annually per the $100,000 willingness to pay threshold in the overall population. Investigators also observed that the higher baseline LDL-C, the greater the value of alirocumab reported. In patients with a history of acute coronary syndrome (ACS) and LDL-C ≥100 mg/dL, alirocumab may offer good value—despite maximally tolerated statin therapy—in terms of both absolute clinical benefit and cost-effectiveness. 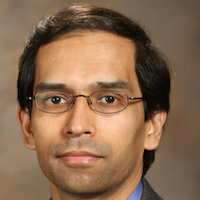 Though PCSK9 inhibitors have been looked upon as major advancements in cardiovascular medicine, their costs have greatly limited their use, lead investigator Deepak L. Bhatt, MD, MPH, told MD Magazine®. “Part of that has certainly been the prior authorization process, which has been quite onerous, though it has improved a bit in recent months,” Bhatt said. But part of the issue, Bhatt continued, is that even physicians have skepticism about the value of these drugs at their initial list prices. Investigators enrolled 18,924 patients from 1315 sites in 57 countries between November 2012 and November 2015. Patients were those who were hospitalized with an ACS such as an myocardial infarction or unstable angina, within 1-12 months before randomization, and an LDL-C level ≥70 mg/dL (1.81 mmol/L). They also were required to have non−high-density lipoprotein (HDL) cholesterol level ≥100 mg/dL (2.59 mmol/L), or apolipoprotein B level ≥80 mg/dL. Levels were measured after at least 2 weeks of stable treatment with atorvastatin 40−80 mg daily, rosuvastatin 20−40 mg daily, or the maximum tolerated dose of one of these statins (including no statin in case of documented intolerance). Patients were randomly assigned to be administered either alirocumab 75 mg subcutaneously every 2 weeks (Q2W) or matching placebo. By blindly titrating alirocumab (75 or 150 mg SC Q2W) or blindly switching to placebo, the number of patients in the target range (LDL-C: 25-50 mg/dL [.65-1.30 mmol/L]) was maximized, and the number below target range was minimized. A primary endpoint incidence of 11.4% at 4 years in the placebo group and median baseline LDL-C of 90 mg/dL, reduced by 50% with alirocumab treatment, resulting in an expected 15% hazard reduction, included design assumptions. A composite of death due to coronary heart disease, nonfatal myocardial infarction, ischemic stroke, or unstable angina requiring hospitalization served as the primary endpoint. DRG-based Medicare reimbursement rates were used to estimate direct medical costs of hospitalization for CV events, such as coronary heart disease death, nonfatal myocardial infarction, fatal and non-fatal stroke, unstable angina, coronary revascularization, and heart failure. By using the EQ-5D, data were collected prospectively on all doses of study medication, all hospitalizations, and health-related quality of life (HRQOL). To estimate long-term survival and quality-adjusted life-years (QALYs) for patients randomized to alirocumab or placebo, age-based survival analysis will be applied to the empirical trial data. The number of cardiovascular events over a mean follow-up period of 2.8 years totaled 2520 in the alirocumab group and 2905 in the placebo group. Investigators concluded that a price of about $6300 or less would indicate the PCSK9 inhibitor’s value. The value of their findings, Bhatt said, was in the use of actual trial data to determine the drug’s price value. “We did not make any assumptions about the actual price, as that is fluid and is typically not the list price anyway due to various levels of discounts (which are confidential, so we did not have access to that data),” Bhatt said. He concluded by expressing hope that, in the future, an evidence-based approach is continually used to set drug prices, instead of leaving it in the hands of a company negotiating with the market.